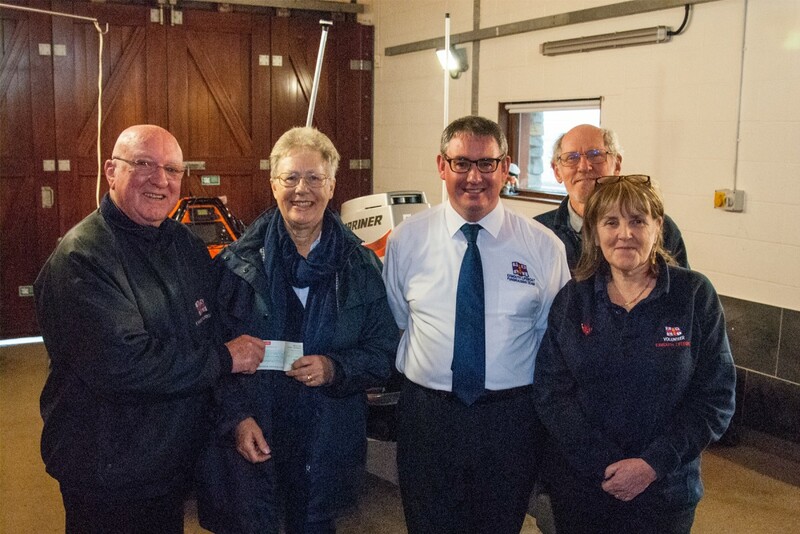 At a recent dinner held on 20 October by Exmouth’s Madeira Bowls Club, Club President, Jacky Howle, donated a cheque for £75 for Exmouth RNLI raised from the event. The cheque was formally presented by Jacky to Brian Cole, ex-Mayor of Exmouth and a lifelong volunteer and supporter of the charity. President of the Madeira Bowls Club, Jacky Howle hands the cheque to Brian Cole. Photograph : President of the Madeira Bowls Club, Jacky Howle hands the cheque to Brian Cole. (L to R) Brian Cole, Jacky Howle, Rory Carrig (Exmouth RNLI Fundraising Chair), David Atkinson (Fundraising Treasurer) and Pat Atkinson (Exmouth RNLI Shop Manager).